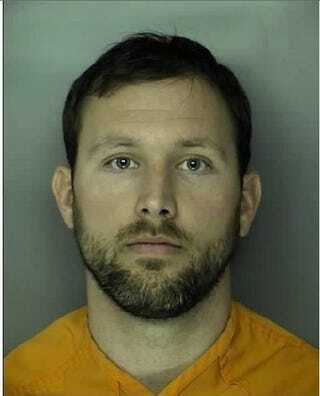 Free-agent NFL QB Tyler Thigpen was arrested early Sunday morning in Myrtle Beach, S.C., and charged with DUI. Police claim that Thigpen's car sat in a Wendy's drive-thru for 20 minutes, with him asleep at the wheel. According to the police report obtained by the Sun News, officers needed several minutes to awaken Thigpen, who was slumped in the driver's seat of his black Cadillac SUV. When he awoke, the report claims, Thigpen didn't know where he was or how he got there. The report says Thigpen smelled of alcohol, but told cops he hadn't been drinking. He refused sobriety tests at the scene, and a breathalyzer test back at the police station. Thigpen was booked on a DUI charge and bonded out on Sunday afternoon. Thigpen, who starred at Coastal Carolina, last played in 2012 for the Bills, and was waived by the Browns in camp this past August.